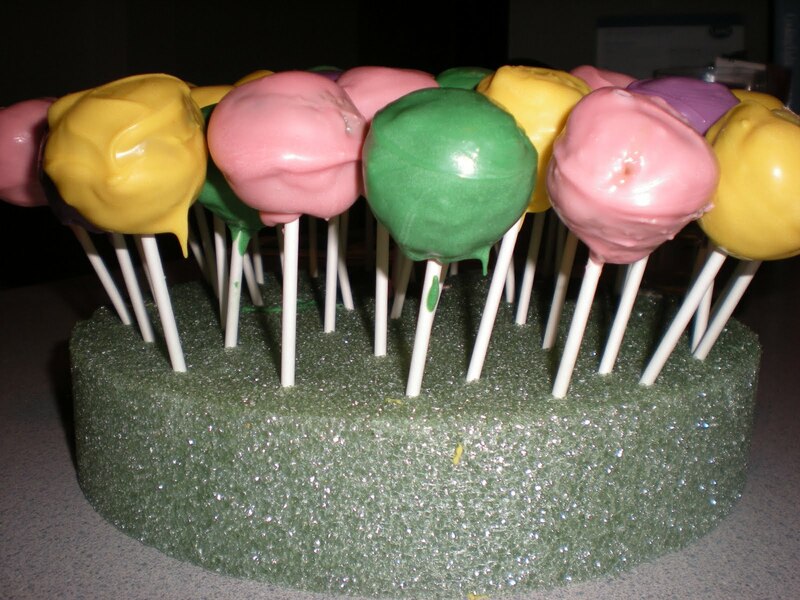 Inspiration and Rough Drafts: Cake Pops for my BFF's Birthday! My best friend since 5th grade celebrated her birthday last weekend, hosting a fun BBQ at her new apartment. 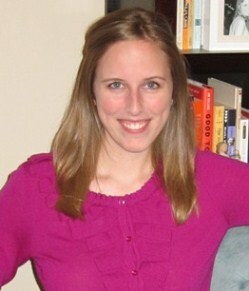 With her fabulous deck and the whole gang of friends, we enjoyed one of our first outdoor evenings of the year. 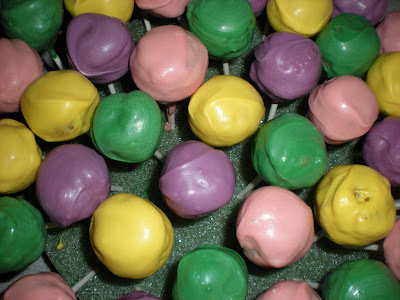 Sure, we zipped on our jackets once it got darker, but thankfully the rain that had been forecasted did not happen. 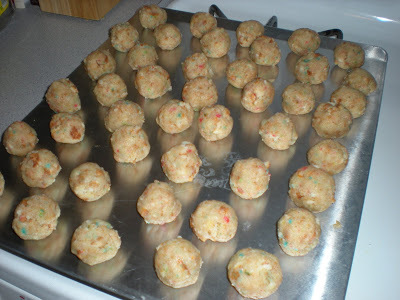 The sun even attempted to come out at some point in the afternoon. I asked my BFF what I could bring to the party and she suggested a birthday dessert, maybe cupcakes. But I wanted to try something new... and that's when I decided to make cake pops for the first time. I had tasted a couple of Starbucks' version, so I searched around the web for some how-to instructions and also discovered that this delicious trend was made famous by Bakerella. Taking bits and pieces from here and there, I figured out the necessary ingredients and basic steps... and dove right in. 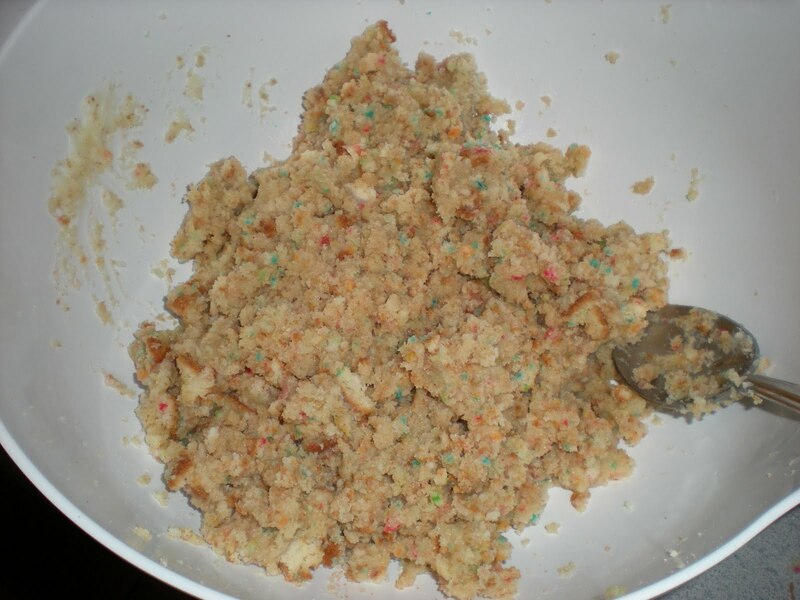 Though the recipe doesn't require many ingredients, it is a bit time intensive and fairly hands-on. 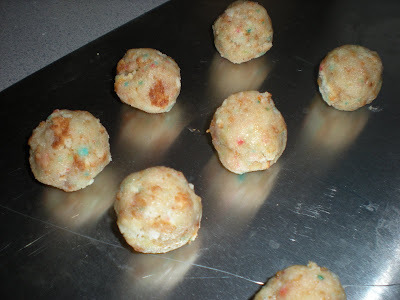 Since Walgreens was closer than the grocery store, I picked up a couple boxes of Duncan Hines Moist Deluxe Confetti Cupcakes (per box, it yields 12 cupcakes or one 8x8 or 9x9). Combining the two boxes of mix with egg whites, oil, and water, I baked a basic 13x9 cake. 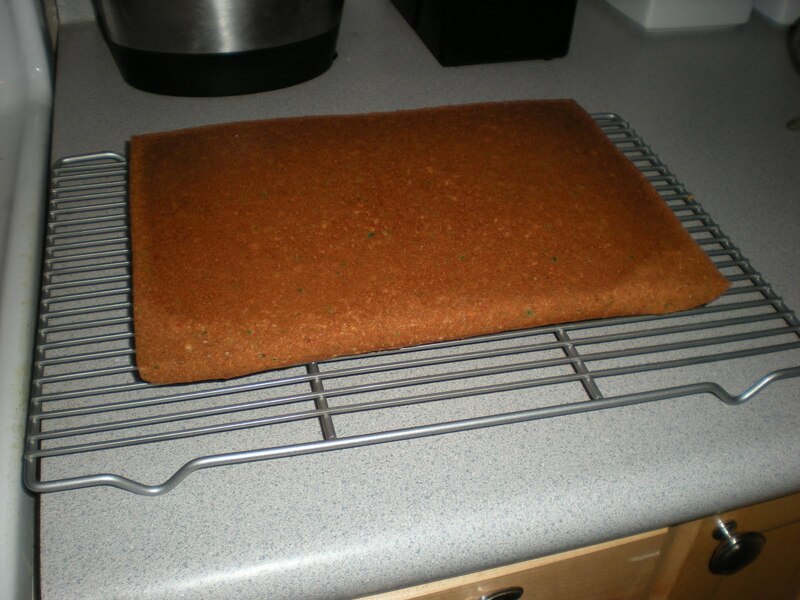 I let the cake cool off a bit in the pan and then inverted it onto a cooling rack. 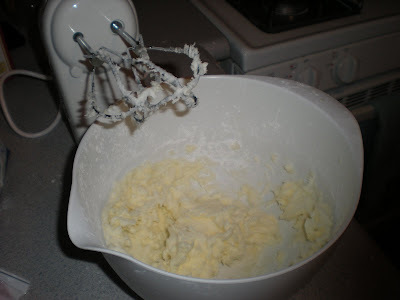 Meanwhile, I whipped up some buttercream frosting using a full stick of butter, lots of powdered sugar and a few splashes of milk. 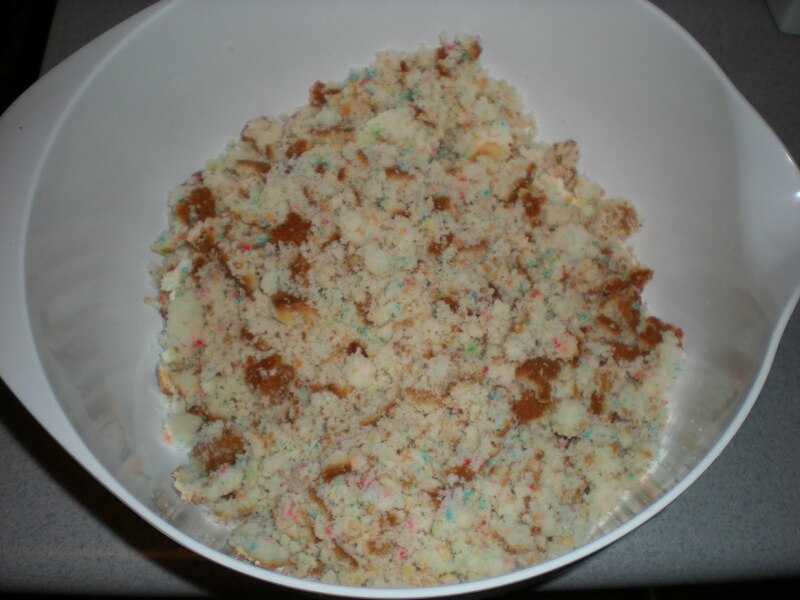 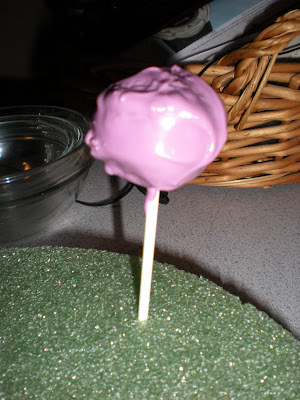 2) Crumble the cake, mix in frosting, and form cake balls. 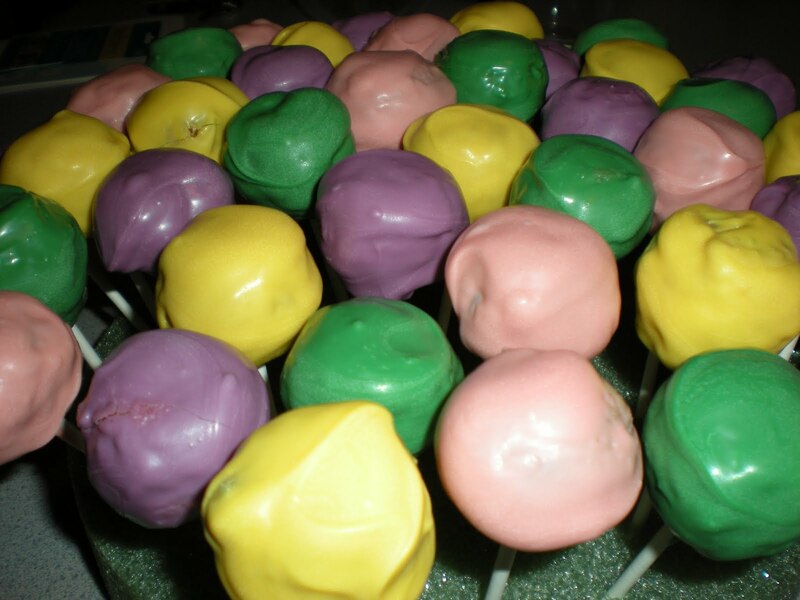 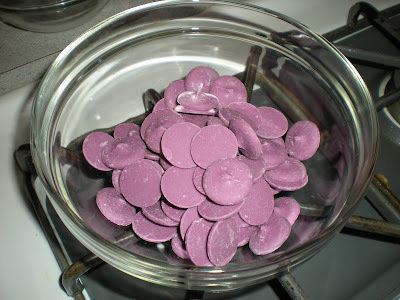 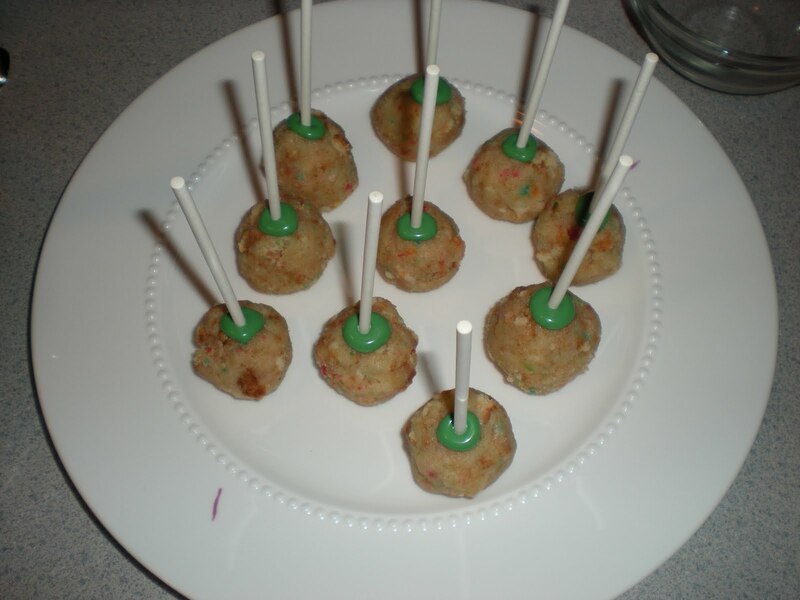 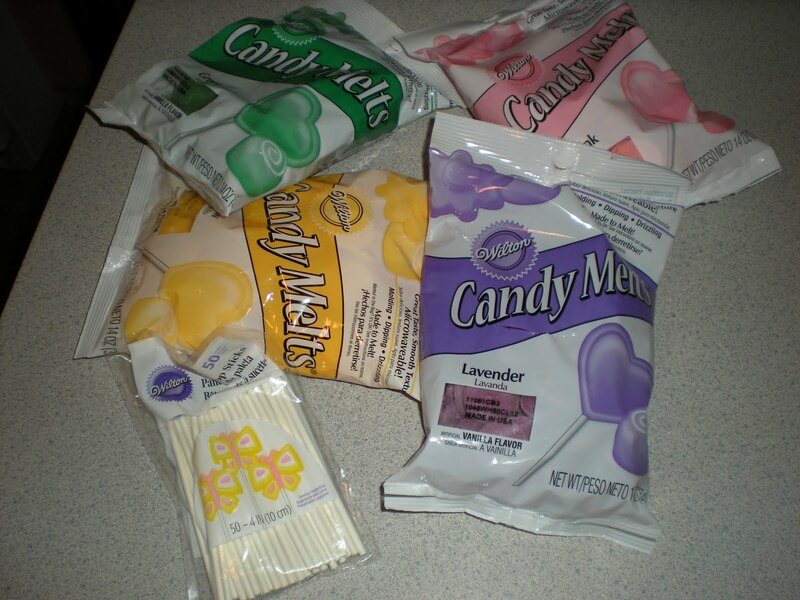 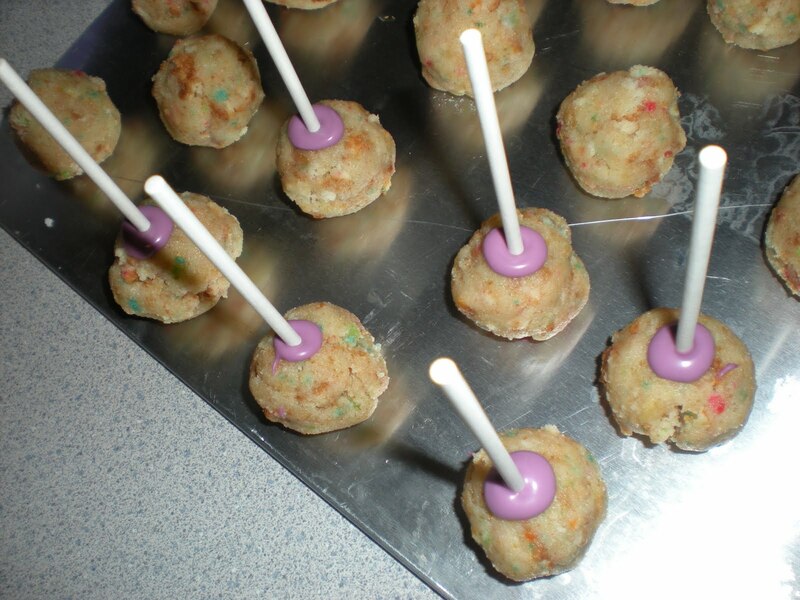 3) Melt the candy coating, dip each lollipop stick and insert them into the cake balls. 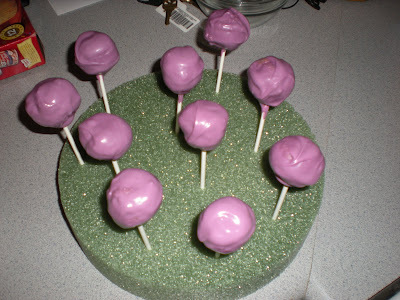 Once lollipop sticks are secure, coat each cake ball completely with candy. The next morning, I melted Candy Melts of different colors in the microwave, working with one color at a time (following the package directions, I used the defrost setting for about 1 minute, then 30 seconds at a time, stirring frequently). 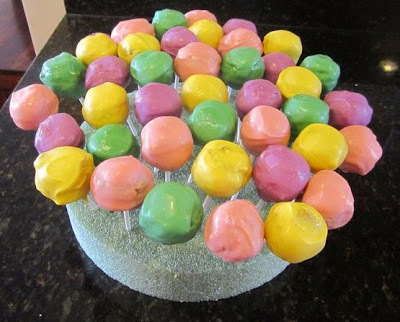 I simply dipped the end of the lollipop sticks into the melted candy and inserted them into the cake balls, allowing a couple minutes for them to set. 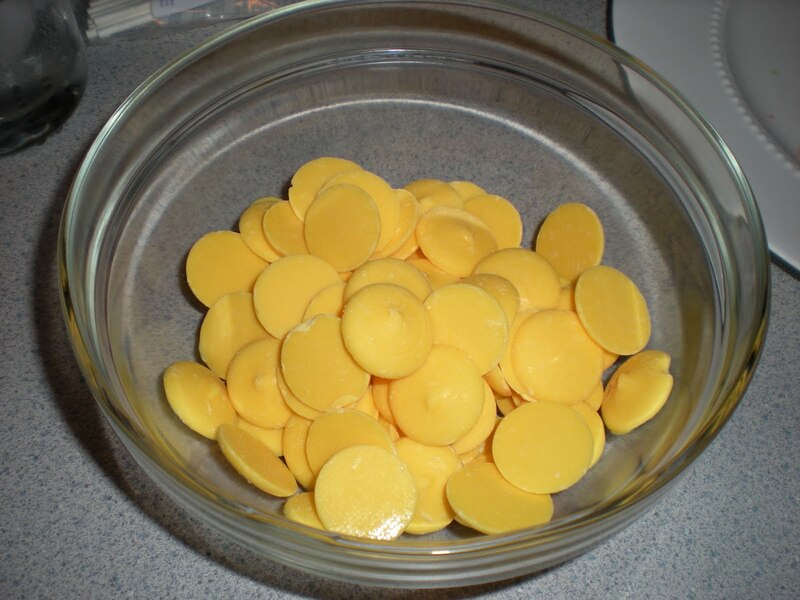 Using a spoon to guide the candy coating and scoop the pops gently, I coated each ball and stood the stick in styrofoam while the candy hardened. Since the pops needed to be spaced out to "dry," I rotated the first round from the Styrofoam stand to a plate in order to make room for the just-dipped ones. Once the candy had hardened, I arranged all of them back onto the stand. 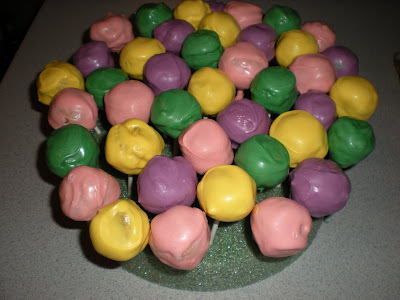 Don't they resemble strange-looking flowers?